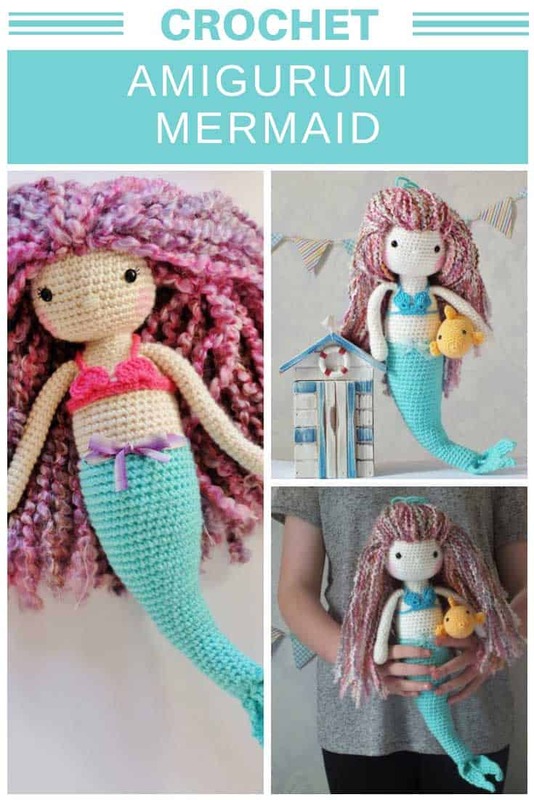 My two favourite websites on the whole internet right now are Pinterest and Etsy. 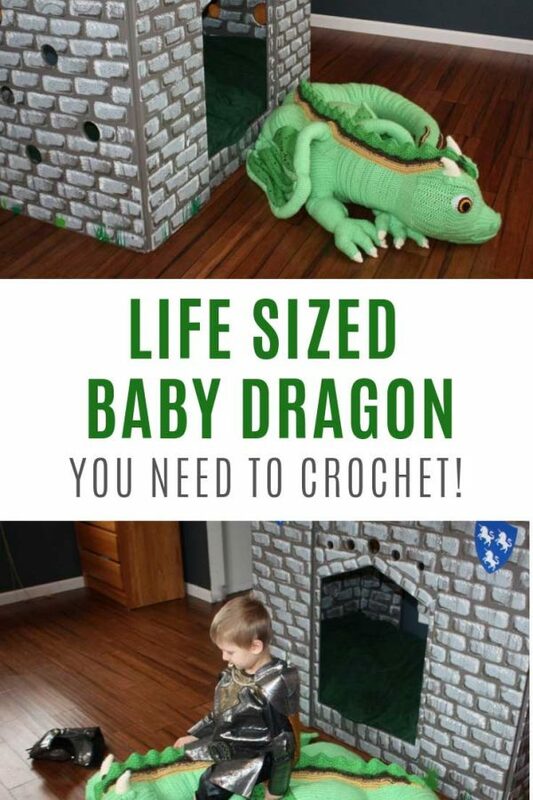 So many WONDERFUL ideas to be discovered in both of those places. 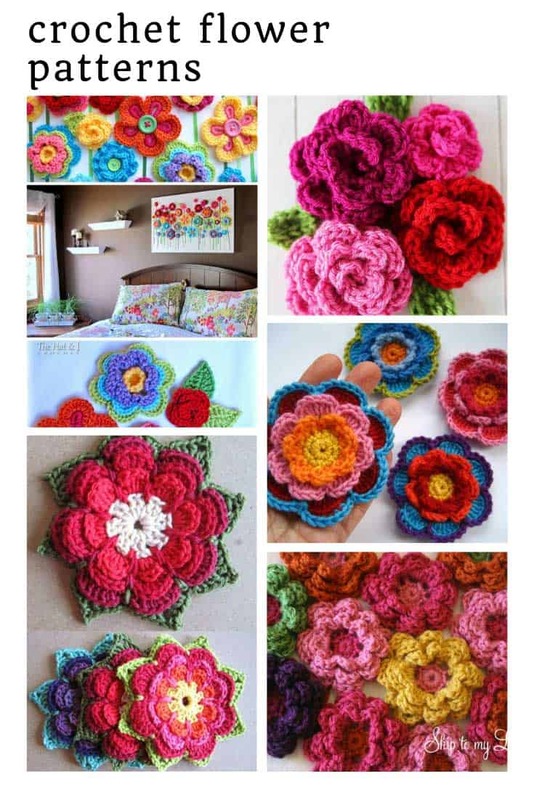 And today I found a new super talented crochet pattern designer who has an Etsy store called Kornflake Stew. 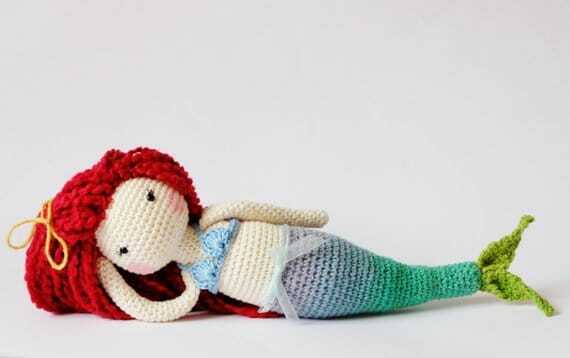 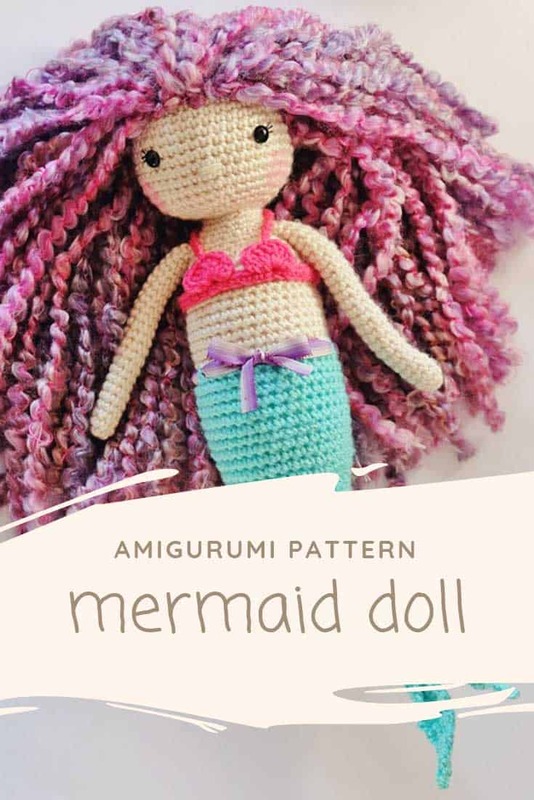 This BEAUTIFUL amigurumi mermaid caught my eye and I knew I just had to share her with you! 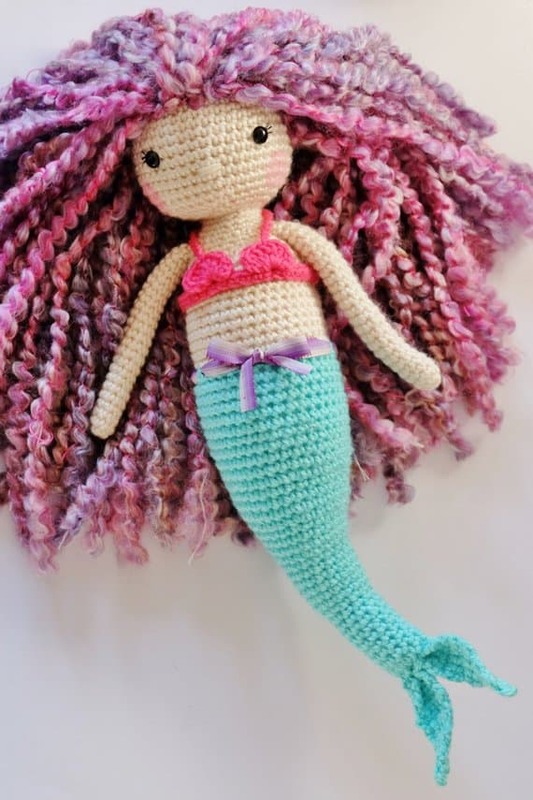 The finished mermaid is about 16 inches tall (if you use the recommended yarn and hook of course) and if you give her red hair she looks like a certain Little Mermaid we all know and love! 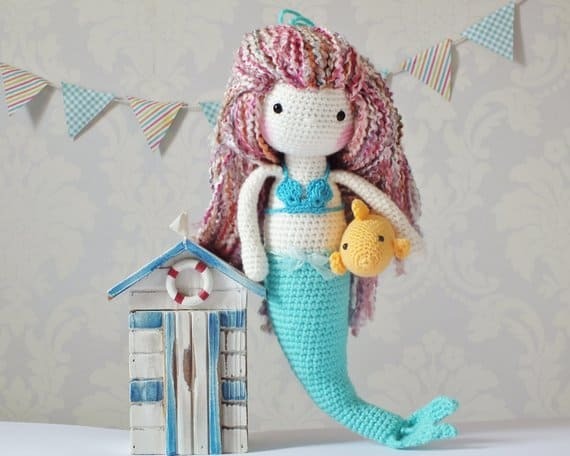 And since every mermaid needs a little friend to keep her company the pattern includes this cute little yellow fish! 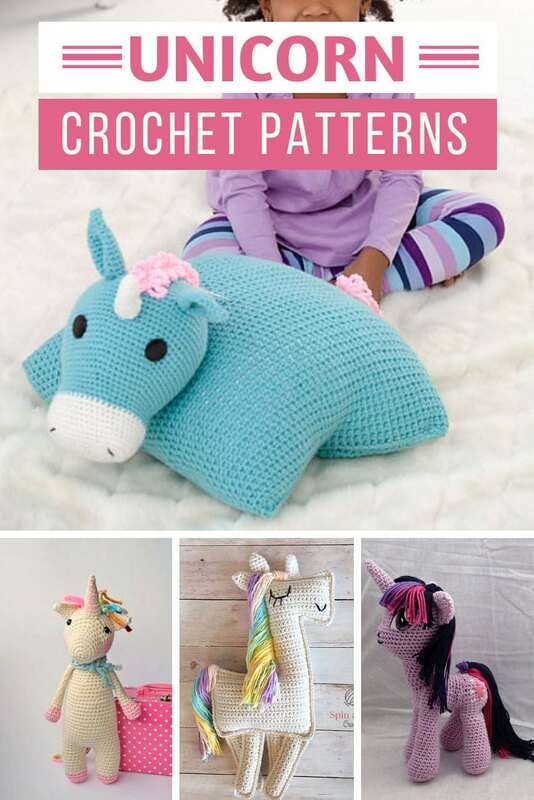 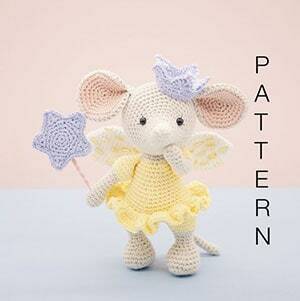 The pattern is very easy to follow but is probably best suited to an advanced beginner/intermediate crocheter. 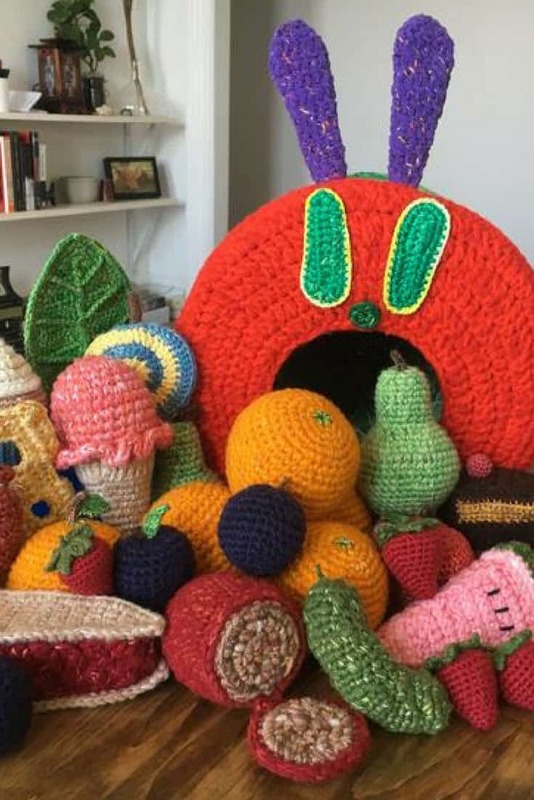 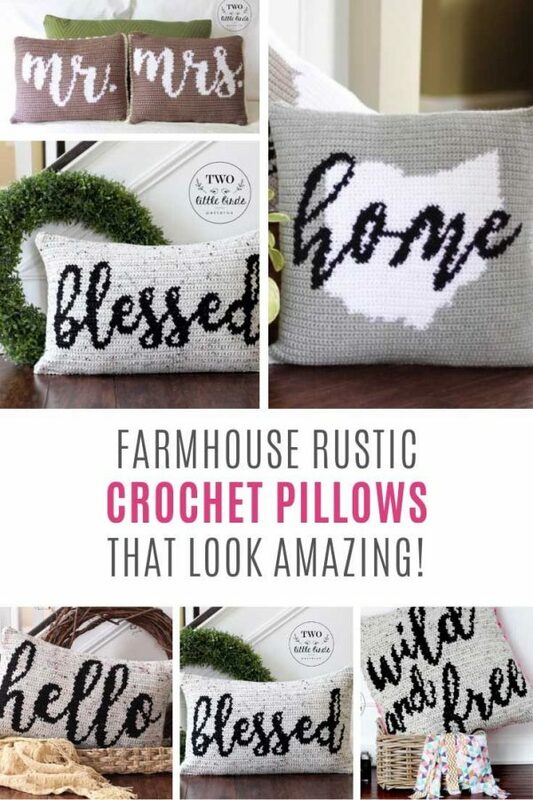 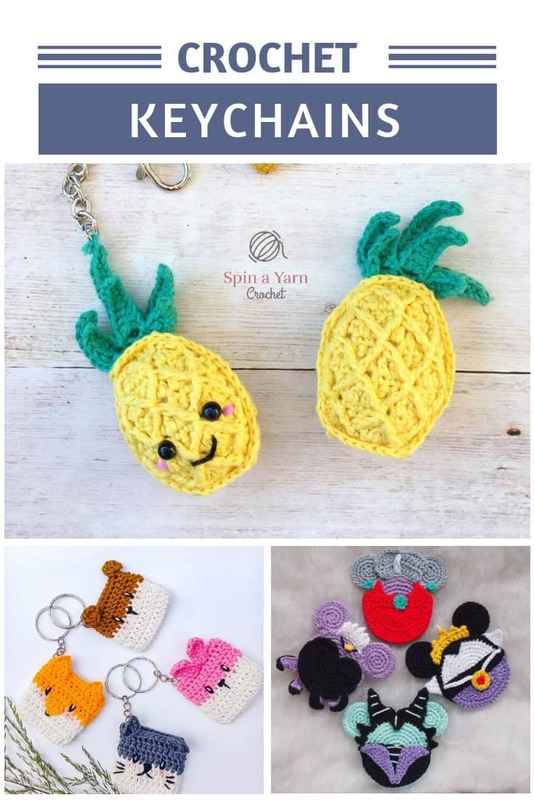 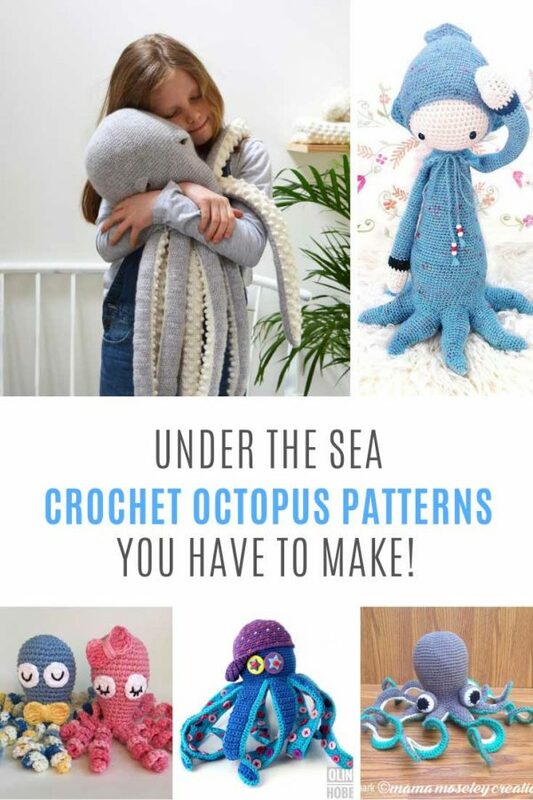 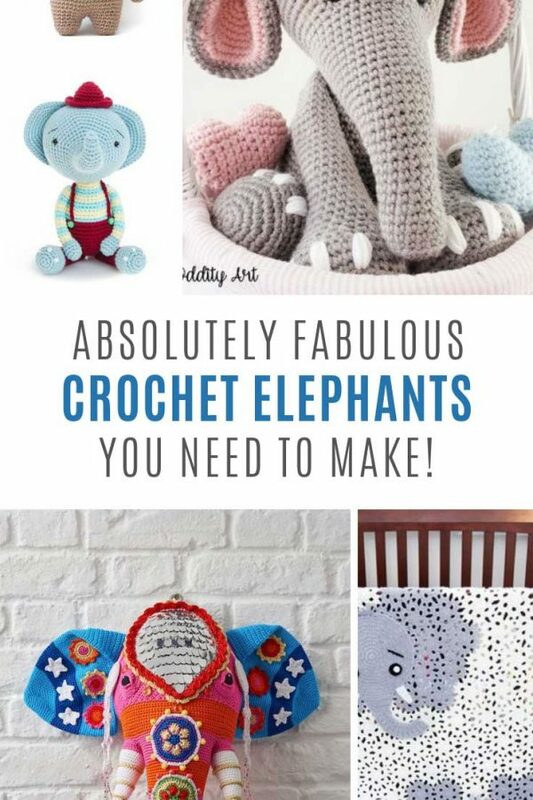 It’s written in US crochet terms and there are lots of pictures for you to follow along with. 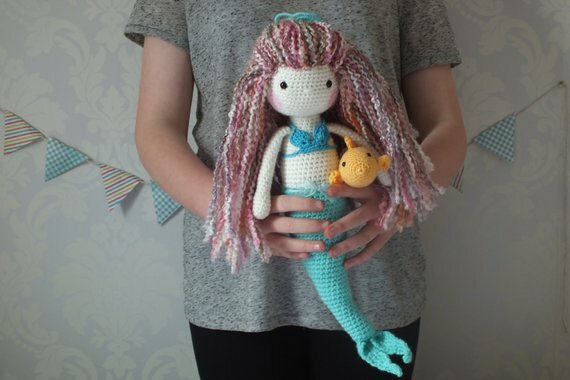 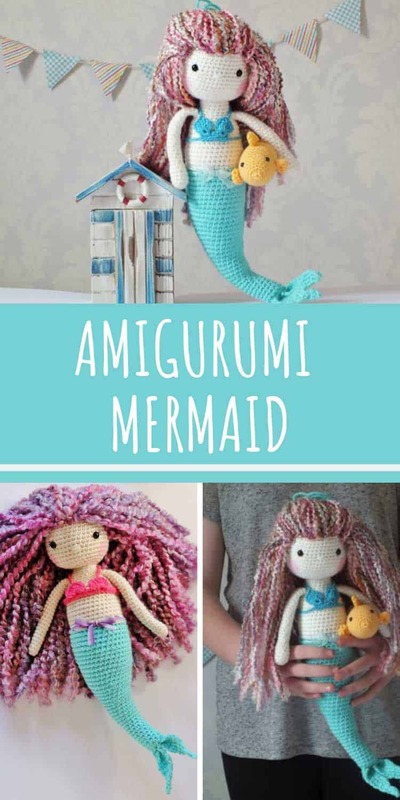 This beautiful mermaid doll will make a wonderful handmade gift for a little girl in your life and is sure to become a much-loved friend.